Durex and it’s cheekiness might have just hit the bull’s eye with it’s new #DontFakeIt commercial aimed at those who fake it on the football field. Well, there’s also that not-so-subtle brand connect with the same tagline. In the extravagant pool of advertisements around the FIFA World Cup, this one takes an entirely different approach and manages to crack one up. The purposefully overdrawn slow motion shots and the traditional Italian vocals to go with it bump up the comedic factor. Watch it and yes, stop faking it. A campaign so massive and powerful that it’s quite literally ‘out of the world’. Samsung had launched one of their biggest campaign to date last November centred around their Galaxy range that wove the FIFA worldcup fever around it. 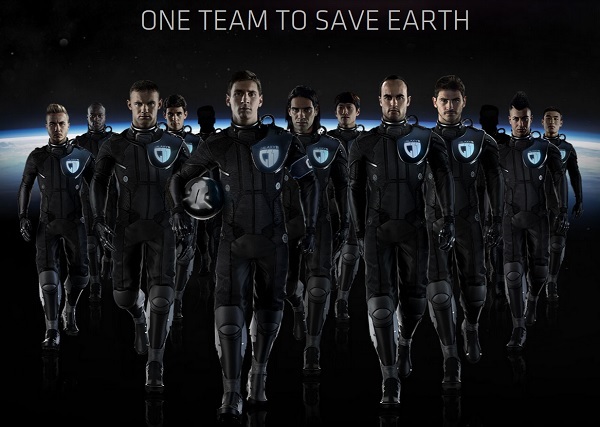 It announced the launch of a dream team called the #Galaxy11. Over the course of the next few months, they revealed the team members across a series of teaser videos, beginning with Lionel Messi who was appointed the captain of the team. 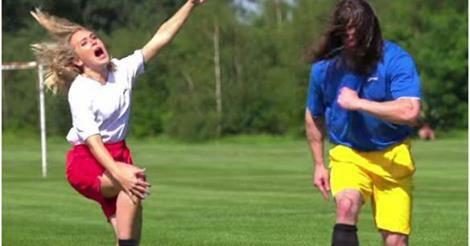 They even got Franz Beckenbauer to play coach. Samsung eventually revealed the team members – Alexander Kerzhakov, Landon Donovan, Wayne Rooney, Iker Casillas, Lee Chung-Yong, Radamel Falcao, Victor Moses, Stephan El Shaarawy, Wu Lei, Oscar dos Santos and Mario Gotze. And last but not the least, to everyone’s surprise, Messi’s great rival, Cristiano Ronaldo was revealed. That’s a first. Samsung has gone ahead and set up a website for the Galaxy 11 football challenge, where it lists all the members of “the ultimate team,” while reminding visitors this is a promotion for its latest gadgets, including the Galaxy Note 3, Galaxy Note 10.1, Galaxy S4 Zoom and Galaxy Gear. 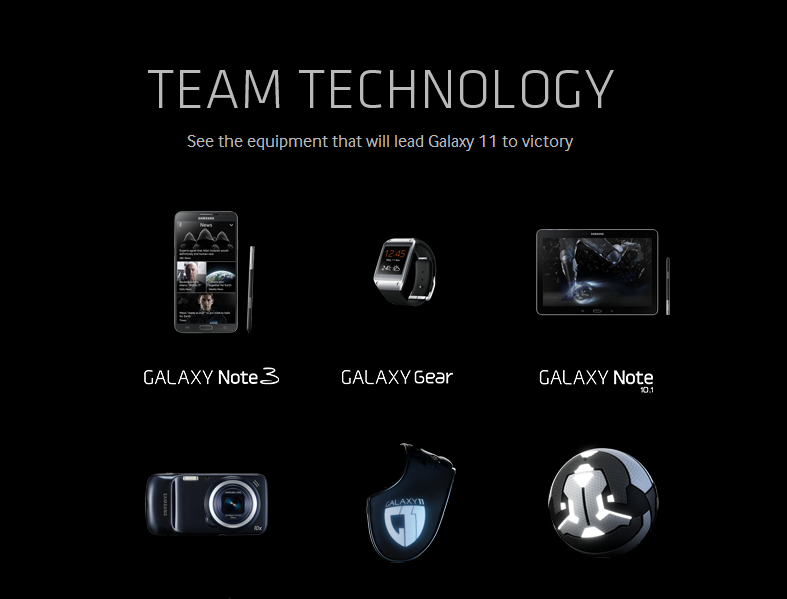 They’ve tied the Galaxy range seamlessly into the campaign as ‘ultimate’ gadgets that are used by the ‘ultimate team’. The entire campaign unfolds like an epic sci-fi series that involves government officials, secret missions, hi-tech training and well, aliens. As far as I know, this is probably one of the biggest football campaigns undertaken by any brand. This one gives you the jitters and HOW! I promise that you’ll be wishing for somebody to make this into a movie. Last week, they revealed the beginning of the greatest battle ever. The revolution has started. Back in January, Pepsi created a superstar football squad called #FutBolNow to inspire footballers worldwide to ‘Live for Now’, which is their tagline. The lineup unites 19 of the world’s greatest players, spanning five continents and nearly 20 countries. Some names on the squad are – Robin van Persie, David Luiz, Sergio Ramos, Sergio Agüero, Jack Wilshere and four-time player of the year, Leo Messi. As the world cup approaches, Pepsi launched a teaser for their new Interactive Vending machine which will go live soon. It features a vending machine challenge that puts your best skills to the test in order to score a free Pepsi. The Vending machine looks super chic with great motion sensors. I can already see the fans lining up to try out the challenge. It’s super fun, relevant and something that commands a great recall value. It’s going to be a cut-throat competition this year with the best creative minds working on larger than life football campaigns. Pepsi has set a foot and how! You can watch the teaser video here. Coca – cola has been known for a diverse range of successful campaigns worldwide, always with a strong tie-up to it’s proposition. Currently, it’s about dwelling in happiness and sharing it with others. Playing on an inter-national tactical opportunity i.e. the football fever, Coca-cola installed two vending machines on two sides of a football stadium during a match. Both the vending machines were connected to each other. A display screen seeded live footage from a camera on the other machine. If you pressed a button on the machine in front of you, the other machine would dispense a coke for a fan of the competing team. Such a brilliant idea to bring out a spirit of unity between the fans of the two team via their product. Well, Coca-cola campaigns have never been known to disappoint, have they? Watch the Coca-Cola campaign here.